Today, our long time friend Mike Pettigano from Black Shoe Diaries swings by the clubhouse to give us insight on the Penn State season as well as some of his thoughts about what might be next for the Nittany Lions. We also talk about fair media coverage… and agree that it’s not happening. Mike was the one that brought PSU’s efforts with RAINN to our attention… worth your time to get involved. Penn State spent a good portion of the early part of the season struggling to find an offensive identity. Has the coaching staff worked out some of the kinks, or is the PSU offense still a work in progress? The offense suffered a pretty big hit this past week losing Mike McQueary’s services on the sideline. He was the guy running the show, calling in the plays, substitutions, personnel packages. Granted, the reasons for his absence dwarf the problems on the field last week. But it’s the football-related answer to your question. Silas Redd has become the offense since late September, but he suffered a minor shoulder injury this week that kept him out of practice so far. He should be ready to go for the game this weekend, as he’s the most physically well-conditioned player I’ve seen in a long time. The guy was averaging 28 carries over three weeks in October, yet still churned out 100-yard games like it was nothing. However, Redd hasn’t been able to win games on his own. The quarterbacks have to be at least functional. 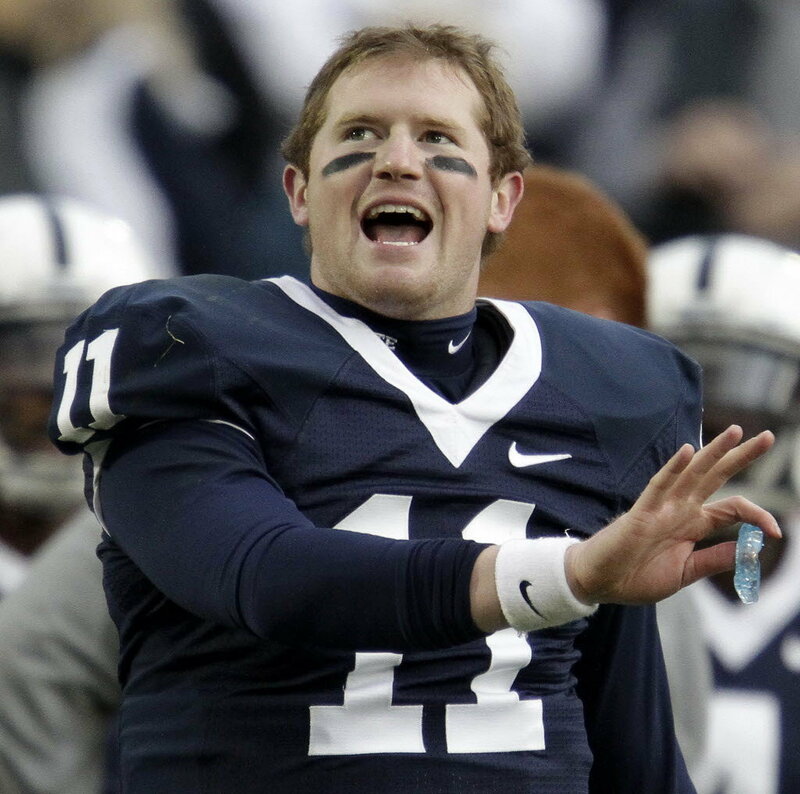 And whatever the view on Matt McGloin may be, he’s the starting quarterback now. As long as McGloin avoids stupid mistakes, he can be a decent game-manager. That’s all Penn State needs in a quarterback, but hasn’t gotten much of it against decent opponents this season.